Successfully withdrawing your KiwiSaver balance under a 'hardship' application is not easy - there is a bunch of paperwork to complete, documents to supply and you will need to prove you have exhausted all other avenues. After that, you will need to prove you are in a state of financial distress. Each KiwiSaver provider assesses financial hardship withdrawal applications as they are received, and this can take between 2 to 5 weeks. The provider's Supervisor needs to be satisfied that you are in 'serious financial hardship' by definition to approve access to some or all of your KiwiSaver balance. If your KiwiSaver provider believes you do meet the criteria of serious financial hardship, payment will usually be made in 1-10 working days from the decision being made. ​What is 'Significant Financial Hardship'? 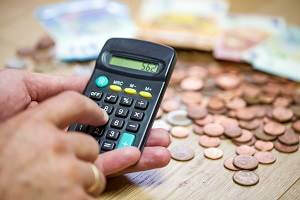 ​What are 'minimum living expenses'? How much can I withdraw from my KiwiSaver fund? What information do I need to provide for a Financial Hardship Application? If you are looking for to withdraw your KiwiSaver balance because you have a serious illness, are moving permanently overseas or want to buy a home, this guide is not for you - read the IRD's Serious Illness guidance, moving overseas guide, or our KiwiSaver First-Home Withdrawal Guide and our KiwiSaver HomeStart Grant Guide. What is 'Significant Financial Hardship'? 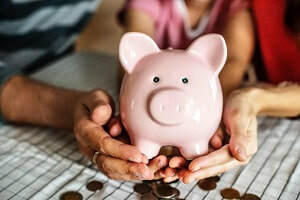 In this guide, we focus on 'minimum living expenses' which can be subjective when compared to the other financial demands such as medical treatment and mortgage repayments. Other normal (non-luxury) household items. Know this: Every situation is different. For example, if you can afford everything on the list above except for food and rent, you can still apply. You will be assessed on everything, not just what you can't afford to buy. Also, you may not get everything you ask for. Your KiwiSaver provider will assess your application and may pay all or some of your KiwiSaver balance to you, depending on how they assess your circumstances. Whatever balance is not withdrawn will continue to be invested in the fund and will be available for your retirement and/or any subsequent significant financial hardship application. If you have been successful in your application and received a payment to cover living costs (i.e. 13 weeks of normal expenses), you will have to wait at least 13 weeks before you can apply again. If applicable, a copy of Separation Agreement. A completed hardship application form, which includes your bank account details for any approved payment and confirmation of the exact amount of money you need. Personal Income Details, including you and your partner's salary/wages, rental income, business income, child support, working for families, interest, dividends. A summary of your Fixed Monthly Outgoings (mortgage repayments/rent/board, overdrafts and bank personal loans repayments, credit and store cards repayments, hire purchase repayments, rates and water charges, insurance expenses, superannuation contributions, childcare/support maintenance, education expenses, medical expense and anything else). A summary of your Variable Monthly Expenses (monthly food, groceries, clothing and footwear, transport costs, car serving costs, electricity/gas/water/telephone/mobile/internet/Sky, home maintenance and anything else). A summary of your Discretionary Monthly Expenses (holidays, entertainment, takeaways, cafe, bakery, books/newspapers/magazines, videos/DVDs/music, club/gym membership, subscriptions, sports, hobbies, tobacco, alcohol, gambling, vet/pet costs and any other discretionary expenses). You will also need to explain how the withdrawal of your KiwiSaver money will remedy your situation (i.e. where will the funds be applied), and the implications for you should this application not be approved. Some KiwiSaver providers require you to answer questions about whether you have considered alternative sources of funding, refinancing or topping-up existing borrowing to resolve the financial hardship situation so be prepared to answer such questions. You will need to specify any overdue payments on your mortgage, credit card bills etc., and attach evidence of this. You may need to have asked your bank and WINZ for help, and show evidence of this. Know this: There is no point in missing out any details on purpose (i.e. lying) - your KiwiSaver provider will have copies of your bank statements and will see everything. Being truthful in every aspect of your application gives you the best chance of having a withdrawal processed. We estimate, based on discussions with KiwiSaver providers, that at least 80% of significant financial hardship applications are based on insufficient money for living costs, i.e. the inability to meet 'minimum living expenses'. To determine if you qualify for a KiwiSaver withdrawal, your financial records and application form details will be examined in detail. Using the framework provided by Workplace Savings and the IRD, your KiwiSaver provider will assess your circumstances. This means their team will compare your expenses to what it considers to be 'minimum living expenses'. The purpose is to determine whether you cannot meet (or are unlikely to be able to meet) minimum living expenses. If your expenses are seen as 'discretionary', i.e. non-essential, then there is less of a chance your application will be approved. For example, if you have a history of spending at restaurants then this will count against your application - we outline this in more detail below. Your assets are key factors in determining if you are in financial hardship. Significant factors include how many cars and/or homes you own, your mortgage details, what you spend on groceries, whether children attend public or private schools, what you spend on clothing, credit card transactions and medical bills. If the KiwiSaver provider believes you could cut back on expenditure, such as groceries or general credit card spend on non-essentials, your application is at a higher risk of being refused. We talked to one former KiwiSaver provider team member who has assessed hundreds of hardship applications. The process saw him and his team routinely deny applications where there was a transaction history of luxuries such as restaurants, spa and health treatments, TAB, online Lotto and high supermarket bills. If you share the same expenses, there is a risk that your application may be refused. The assessment guidance below indicates what your KiwiSaver provider looks for when determining if you are in a state of financial hardship, with certain facts supporting an application or working against an application. Generally does not support application, however may support if applicant is from an area not serviced by digital TV via Freeview. You have incurred (or need to incur) in a large, one-off expense – brought about (in the latter case) by circumstances beyond your control. The guidance also states that you will almost certainly be suffering significant financial hardship if your bank has presented you with an arrears notice on a mortgage. Your application will be assessed on everything you submit in your application - the table below indicates what facts are more likely to indicate significant financial hardship, and what facts work against an application. Continuing ‘luxury/wasteful’ spending is a different matter and affects applications. 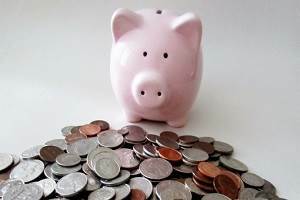 In the example above, the Workplace Savings guide suggests an application should only be approved if reasonable alternatives for funding the existing commitments (i.e. hire purchase payments) have been fully explored or exhausted, and there is no way of getting out of the ‘luxury’ financing commitments. But if there is a way to get out of the financing without penalty, the items should be returned. Whatever debts you have, it is a good idea to see if they can be reduced by selling whatever the items are that caused them. If you can't sell them, be as detailed as possible as to why. All of the debts you list on your hardship application form are assessed individually; a detailed transactions history is crucial to determine the likelihood of repayment. We estimate at least 95% of hardship applications are submitted without the help of free budgeting advice services. Given the paperwork involved and process of making a hardship application to the KiwiSaver provider in general, we believe that meeting up with such a service BEFORE submitting a hardship application is essential. This free service is available all over New Zealand, and a budgeting expert can help you complete the hardship application form as well as guide you to get your finances back on track right away. Our debt help page has more details about free budget services all over New Zealand. Each KiwiSaver provider is obliged to assess Significant Financial Hardship at the time of the application; prior applications (whether successful or not) may be considered in the assessment, but are not a defining factor. If you have applied before and been rejected, your current financial situation may now meet the requirements and a part-payment or full payment of your KiwiSaver balance could be available. Your KiwiSaver scheme's assessment team will put together a worksheet, notes, and in some cases (but not all), a recommendation to the scheme's Supervisor who then does the analysis and determination against their benchmarks. Even if the assessment team has recommended rejecting the claim based on the information available, the Supervisor has the final say. KiwiSaver managers cannot decline an application; that is the job of the Supervisor; you will only hear from the KiwiSaver scheme if they need more information to support your application. Applications for significant financial hardship can become emotionally involving for a KiwiSaver scheme. The team responsible for your application will try to find the best solution, both in the short-term and the long-term. We have spoken to employees of KiwiSaver schemes that say the stress caused by the sensitive issues when assessing applications can affect their work and general well-being. Your KiwiSaver scheme is there to help you but you will have to be patient while the application is assessed. We have heard from KiwiSaver providers about staff being threatened with violence - this doesn't help anyone and only adds to the stress levels of everyone involved. And remember, the Supervisor for each KiwiSaver scheme is the one responsible for making the decision, not the KiwiSaver scheme manager. If you don't receive the full amount, your KiwiSaver provider will inform you of the specified amount you have been approved for. If this happens, they must provide reasons as to why only a reduced amount will be released. If your application is declined, the KiwiSaver provider will give reasons why, and provide further options available. Talk to your lenders, who offer Financial Hardship applications which can stop interest and repayments until you are financially better off. Contact a Budgeting Service for an appointment. Talk to WINZ about your issues as in some cases they may be able to help. Read our Debt Help guide to see more options available. Your KiwiSaver Supervisor will be part of a disputes resolution scheme. You can complain if you disagree about the outcome of your application (i.e. it was declined), or you are unhappy with any aspect of the procedure followed by the Supervisor or the Manager. You will need to contact your KiwiSaver provider for the details of their disputes resolution provider. If you are then unsatisfied, you have the right to raise the issue with the Financial Services Council who will assess the claim and make a determination as to whether the Supervisor followed due process. We estimate that this could take up to two months. Can I Use My KiwiSaver For Financial Hardship? Yes - it is your legal right as a KiwiSaver member to apply for a financial hardship withdrawal. You will need to meet the criteria, and this will be assessed by your KiwiSaver. What Qualifies For A Hardship Withdrawal? You must meet the definition of 'Significant Financial Hardship', as outlined by Schedule 1 of the KiwiSaver Act 2006, which means you cannot meet your minimum living expenses, minimum mortgage repayments or a number of other health-based financial needs. 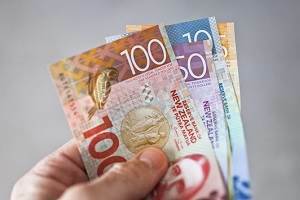 Can I Withdraw Money From My KiwiSaver? Yes - but only for specific purposes, such as significant financial hardship, first-home purchase, permanently moving overseas or for qualifying medical costs. 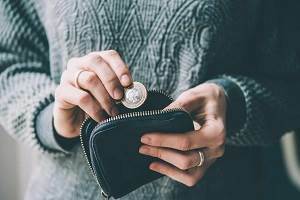 Financial hardship can be caused by many factors and circumstances, including redundancy, high level of debts, poor financial decision making and personal situations such as family breakup and'or illness. How Long Does It Take For KiwiSaver To Pay Out? We estimate around three to five weeks from the date you submit an application form with supporting documents to getting a decision. If your KiwiSaver scheme manager asks for more information, the faster you supply it, the quicker you will have your application processed. How Much KiwiSaver Can I Withdraw? You can apply to withdraw as much or as little as you want, depending on your immediate financial needs. Most people apply for 100% of their KiwiSaver fund balance, but the KiwiSaver scheme Supervisor can approve some or all of this depending on their assessment. Do You Pay Tax On KiwiSaver Withdrawal? No - the balance you see, less any member tax credits and government kickstart $1,000 is the balance you are entitled to draw down on, should your hardship application be approved. I Just Transferred My KiwiSaver To A New Provider, Can I Still Make a Hardship Application? Yes - there is no restriction, so even if you've only been with your new provider for one day, you are still entitled to make an application. How Do You Overcome Financial Hardship? 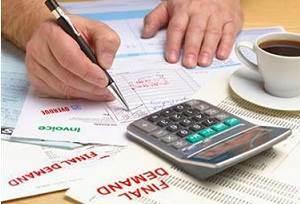 There are many ways - cutting spending, selling assets you don't need, looking for a second job (or any job if you're unemployed) and seeking help from a budgeting service are just some ideas. Read our debt help for more details. Can You Use Your KiwiSaver To Pay Off Debt? Yes - if your application for financial hardship is approved. Every situation is different, and your personal circumstances will be assessed on a case-by-case basis. Does Hardship Affect Your Credit Score? No - a hardship application does get logged on your credit history, but the debts you have will most likely affect your credit score if they are overdue. Read our guide to credit scores for more information. Can I Borrow From My KiwiSaver? No - once a sum is withdrawn, you can use it as you like and there is no obligation to repay as if it was borrowed. If you wish to voluntarily deposit money into your KiwiSaver fund above the standard contribution level, you can arrange this with your KiwiSaver provider. I previously received money with a hardship application - can I apply again? Yes - there is no limit to how many applications you can make, but you may want to consider opting out of KiwiSaver if you regularly experience financial distress. By stopping voluntary contributions you will have more money every week. Every KiwiSaver provider has their hardship application form and guidance information online - Google 'Hardship application + (name of your KiwiSaver scheme). If you cannot find it, contact your scheme's client support team. How long do I need to wait to get my money? The processing time for assessing an application will vary between provider, but allowing 2-5 weeks is a realistic time frame. If you do not submit all the information needed, it will take longer. At the moment, each KiwiSaver provider's Supervisor has the final decision on whether or not you meet the criteria of financial hardship, but you have the right to complain if you believe the outcome to be unfair. 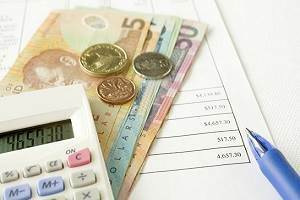 Debt problems are common all over New Zealand, and this site is used by thousands of people every day in various levels of debt, all looking to become debt-free. If you have the right support systems in place and the willpower to become debt-free, it can happen. The MoneyHub team knows how stressful debt can be, and if you have any specific help or tips you wish to share about your KiwiSaver hardship application process or debt in general, please get in touch. Be assured, your email will never be passed on or shared publicly.